Washington Federal Criminal Defense Lawyers - Oberheiden, P.C. Our law firm has a significant record of success in Washington and the rest of the country. Call our proven Washington federal criminal defense lawyers today at (888) 519-4897 for a free and confidential consultation with one of our federal defense attorneys. As a federal criminal defense law firm, Oberheiden, P.C. represents individuals and corporate clients across a wide variety of federal criminal matters. We have a proven track record of success representing our clients, and decades worth of experience. Our battle-tested attorneys understand the complexities of a federal trial and have a long and positive record of success in and out of the courtroom. Many of our Washington federal criminal defense lawyers are former prosecutors who know all of the intricacies of a federal investigation and can put that sort of knowledge to work for you. If you are at risk for federal criminal prosecution and sentencing you will need dedicated and trial-tested attorneys with many years worth of specifically federal litigation experience on your side. Assistant United States Attorneys (AUSAs), especially in Washington State, often pursue multiple counts for a broad range of charges. A very real potential for substantial fines or even long-term incarceration exists in such federal crimes. Our firm has the proven track record to help you avoid time in prison or paying exorbitant fees. Here are some recent results in federal criminal cases. An Experienced and Proven Federal Defense Team For All Aspects of Criminal Cases in Washington. Have you been approached by federal agents from the DEA, IRS, FBI, OIG? Have you received a target letter or a grand jury subpoena? You may be facing serious charges, so do not delay in contacting us today. One of the most important things to remember is that giving your legal defense team plenty of time to prepare is crucial for a favorable outcome. Our law firm aggressively pursues the best possible outcome for you or your business and our Washington federal criminal defense lawyers represent our clients effectively at all stages of the federal criminal justice process, from investigations through appeals. The government’s investigation of you or your business could present the first opportunity to defend yourself in a federal criminal case. The allegations could include the Department of Justice (DOJ), the Internal Revenue Service (IRS), the Federal Bureau of Investigation (FBI), the Office of the Inspector General (OIG), the Drug Enforcement Administration (DEA), and other agencies. Your Washington federal criminal defense lawyers need to ascertain precisely which agencies are involved and determine what the exact nature of the investigation is – and whether it is criminal or civil. A civil investigation limits the penalties that are available to the government. In a civil investigation, the possibility and risk for incarceration in federal prison is not present. If an investigation is civil, it is best to keep it this way. However, if your investigation is criminal or has the potential to evolve into a criminal investigation, there are still opportunities to put together an effective legal defense strategy. The vast majority of our clients contacts our firm during the investigative stage and do not face any criminal or civil charges, so do not delay. A federal grand jury allows federal prosecutors to obtain an indictment to formally pursue criminal charges against you. If you have received such a grand jury subpoena, you must immediately speak with an attorney to evaluate it. Your legal team will help you determine which steps you need to take next, how and if to comply, and how to potentially challenge the government’s subpoena either wholly or in part. Much of the work in these situations involves preparing documents or providing testimony in response to the grand jury subpoena. This is one of the many reasons why it is crucial to utilize an experienced Washington federal criminal defense lawyer. Oberheiden, P.C. can help you effectively present yourself in front of a grand jury and can help you determine which, if any, documents or information to provide to the government. An effective counsel can help you avoid self-incriminating evidence as well. One of the most effective strategies in federal litigation is seeking a favorable resolution prior to trial, especially after federal charges have been filed. Most charges are actually resolved during this important stage of the litigation process. Our law firm has convinced numerous U.S. Attorney’s Offices to drop charges against our clients entirely, and we have reached numerous plea bargains. Other attorneys may simply ignore the pre-trial stage of the process but our highly experienced Washington federal criminal defense lawyers explore all possible avenues to secure the best possible outcome for our clients. Our attorneys often accomplish their goals by negotiating favorable outcomes and securing leverage. If a guilty verdict is rendered against you in a federal trial, on any or all charges, the case moves to the sentencing portion of the process. Even if a guilty verdict is rendered against you, your fate is never predetermined, and our Washington federal criminal defense lawyers will continue to work hard to help you. Our defense team can secure a minimum or reduced sentence, and knows which steps to take in order to achieve this. Oberheiden, P.C. works diligently to maximize the opportunities you have at your disposal, even if it reaches the sentencing stage. One thing to remember is that even if a guilty verdict is entered against you in a federal criminal court – there are still many legal defenses available to you. Even though the grounds for appeals are limited, Oberheiden, P.C. will take the important precaution of preserving all potential appellate arguments. We maintain an active appellate practice in addition to representing individuals and corporate defendants at trial. Our federal criminal defense lawyers represent clients all over the U.S., including clients that were previously represented by other attorneys. You can make more informed decisions throughout your investigation or case by familiarizing yourself with basic legal principles and facts, even though the federal criminal justice system is extremely complicated. What Are Conditions for Pre-Trial Release? – Have you been detained pending trial? Our legal team can help you craft an effective strategy and our most important task will be getting you out of prison as fast as possible. There are several strategies we can pursue in order to secure a pre-trial release. Federal Grand Jury Subpoena Defense – How can you effectively respond to a grand jury subpoena? Get inside information on how a federal grand jury is entirely different from a petit jury in state court. The grand jury subpoena is a favorite federal investigative tool, find out how it is used and what you can do to insulate yourself. What Are My Options after Being Federally Indicted? – Discover the process once you have been indicted, as explained by experienced Washington federal defense attorney Dr. Nick Oberheiden. Read about the next steps in the federal litigation process. What Is the Burden of Proof in Federal Criminal Cases? – What exactly is the federal burden of proof in federal criminal cases, and what does “beyond a reasonable doubt,” mean? Discover how the jury will judge your innocence if your case does go to verdict. How to Prepare for a Criminal Trial – Preparation is always important, but especially so in a federal criminal trial. Everyday events and actions could have monumental consequences on your case. Learn how social media activity, destroying evidence, and other actions could impact your case. Find out which positive steps you can take in order to improve your chances for a favorable result. How Can I Prepare for My Sentencing Hearing? – Sentencing is determined in entirely different legal proceedings. Discover how four separate elements could protect you while you wait for your sentencing hearing. Washington is divided into different federal districts. The Evergreen State is part of the United States Court of Appeals for the Ninth Circuit (in case citations, 9th Cir.). In the United States District Court for the District of Washington, federal prosecutors are tasked to enforce federal law on behalf of the U.S. Department of Justice. Washington is divided into two federal districts, the Eastern District and the Western District. These districts locate federal courthouses as well as branches of the Department of Justice, so-called U.S. Attorney’s Offices. The U.S. Attorney’s Offices employ federal prosecutors, also referred to as Assistant United States Attorneys (AUSA). The United States District Court for the Eastern District of Washington covers the counties of Adams, Asotin, Benton, Chelan, Columbia, Douglas, Ferry, Franklin, Garfield, Grant, Kittitas, Klickitat, Lincoln, Okanogan, Pend Oreille, Spokane, Stevens, Walla Walla, Whitman, and Yakima, and it hosts federal courthouses and U.S. Attorney’s Offices in Spokane (920 West Riverside Ave, Room 840, Spokane, WA 99201), Yakima (25 South 3rd St, Room 201, Yakima, WA 98901), and Richland (825 Jadwin Avenue, Room 174, Richland, WA 99352). The United States District Court for the Western District of Washington covers the counties of Clallam, Clark, Cowlitz, Grays Harbor, Island, Jefferson, King, Kitsap, Lewis, Mason, Pacific, Pierce, San Juan, Skagit, Skamania, Snohomish, Thurston, Wahkiakum, and Whatcom and it hosts federal courthouses and U.S. Attorney’s Offices in Seattle (700 Stewart Street, Suite 2310, Seattle, WA 98101) and Tacoma (1717 Pacific Avenue, Room 3100, Tacoma, WA 98402-3200). FAQs: Facing a Federal Investigation or Federal Criminal Charges in Washington State? If you have received a grand jury subpoena, or a target letter, from federal agencies such as the DEA, IRS, OIG, DOJ, or FBI, you are the subject of a federal investigation. Preparation is important, which is why the best course of action is contacting your attorney in order to discuss your rights under the law. Yes, you do. Our attorneys have helped clients avoid charges and obtain acquittals during trial, even for clients who were federally indicted. Oberheiden, P.C.’s experienced counsel may be able to help you negotiate a plea deal that minimizes the consequences of your indictment, even if you cannot avoid some form of sentencing. At times, it can be very difficult to ascertain if an investigation falls in the civil or criminal category. Our attorneys understand which steps they need to take in order to help you determine what is at stake in your particular case. Once you call Oberheiden, P.C., an experienced federal defense attorney will provide you with a personal, in-depth, and confidential consultation. Our attorneys can help you make wise decisions and counsel you on how to proceed during this dangerous time. Contact Our Washington Federal Criminal Defense Attorneys at Oberheiden, P.C. 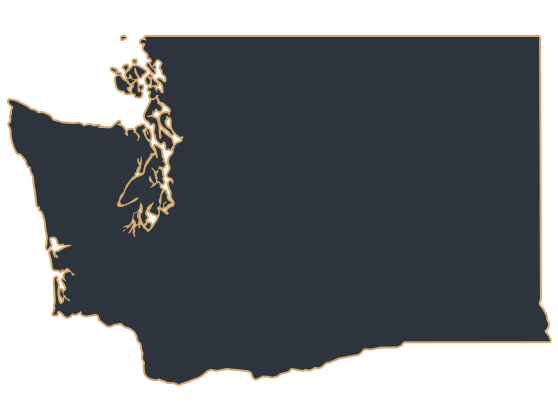 If you need a Washington federal criminal defense attorney in Washington State we encourage you to contact us immediately to schedule your free case assessment. To discuss your case in confidence, call us at (888) 519-4897 or send us your contact information online now.